Welcome to the first ever Inkunzi Cave blog !! First on two counts – first for Inkunzi Cave and first for me !! Reminds me of the Beatles song “When I’m 64” …. I never dreamt I’d be writing “blogs” at 64! But, we’re never too old to learn, and we have to move with the times (if we can keep up! ), so let’s hope I get better as I go along. 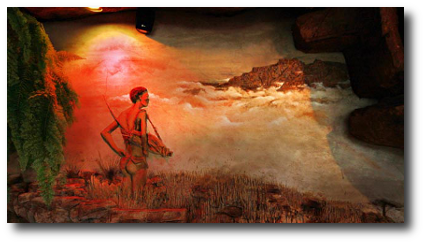 I thought it a good idea to start with a brief history of The Zulu Hut, Inkunzi Cave and Diddly Squat …. very brief! When I came to live with Steve, 12 years ago, the Zulu Hut was being used as a store room for all unwanted items of furniture, broken tools and miscellaneous bric-a-brac. Needing a challenge, I suggested that we fix the leaks, re-decorate and rent it out. And so it happened that in December 2007 we welcomed our very first guests, Louis and Tonya Diedericks, to the Zulu Hut. Since then we’ve made several improvements and continue to upgrade as we go along. Steve has always dreamt of building a Cave. So, when our retaining wall collapsed and we were deciding how to fix it, the idea arose to build our “cave” against the bank. And so Inkunzi Cave was born! “Inkunzi” being “Bull” in Zulu. Our first guest was Marian, who came together with Cearah Wurdeman, in March 2009. The past 8 years have been extremely busy and most rewarding. It’s a pleasure for us to share our beautiful spot with our guests – we would be selfish to keep it all to ourselves. And, when we see the awe-filled expressions on the faces of our guests as they look out at the view of the mountain and the valley below, we are humbled and ever grateful that we wake up to this amazing sight every day. Highly recommended, beautiful location with spectacular scenery, thanks Steve and Estelle for the memories! Love your blog Estelle and Steve. Lovely meeting you both. Thanks for the awesome experience in December last year. A wonderful place to relax…the views…spectacular!!! Highly recommended. Thanks, guys. It was lovely to meet you and hope you’ll be back soon! Does Steve,s son still make the Skin Treatment Cream from African Potato etc. If so please let me know where I can buy some. Hi Ian, I thought I replied to your message….. we still sell the cream at our little shop at Cedarwood. But if you’d like me to post some to you I’ll do so with pleasure. Could you email me on estelle@futurenet.co.za as I hardly ever see these messages on my website.